As a resident of Northern Virginia, you are no stranger to hard winters. Extreme cold, unpredictable snow showers, and constantly salted roads can all have negative effects on the appearance and performance of your vehicle. The Wiygul Automotive Clinic family has taken great pride in always being an honest and reliable repair facility. Serving Burke and surrounding area since 1996, Wiygul Automotive Clinic has made it a top priority to ensure the safety of all automotive owners and those who travel with them. After a long winter, it is important to get your car performing its best for spring. Make sure to give your vehicle a good hand wash this spring. Carefully inspect the condition of your vehicle's paint job and make note of any chips, dings, or scratches that can easily be remedied by purchasing touch-up paint. Apply paint to a dry surface and as soon as the damage has been found. If left untouched, a ding, chip or scratch can cause rust on your vehicle's body and may spread overtime. Inspect the condition of your wheel wells. Remove all salt and dirt with a steady stream of water. If left as is, dirt and salt can cause your wheel wells to rust. Replenish and protect your vehicles paint job by applying a generous coat of wax. Once your vehicle has been cleaned and a fresh coat of wax applied, Wiygul Automotive Clinic recommends that you inspect your windshield for stone chips or cracks caused by debris and extensive cold weather. If your windshield is chipped, it is not necessary to replace the entire windshield. Complete the exterior inspection of your vehicle by evaluating the performance of your windshield wipers. If worn, replace immediately. Although your vehicle's exterior takes the brunt of the punishment during the winter, the weather has a way of damaging the interior of your vehicle as well. From simply entering and exiting your vehicle, you introduce salty water, which can collect on the floor. As a result, rust could be forming where you cannot see it. Using a quality rug shampoo will help remove the salt from the fibers of your car's upholstery. To avoid cracking, clean all vinyl with a vinyl-treatment product. Increase your visibility by cleaning all interior windows. Wiygul Automotive Clinic will work to ensure that your vehicle is in proper working order for the warmer months. 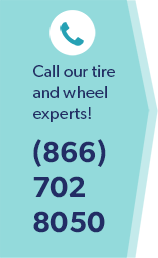 If your vehicle has experienced any motor or tire damage during the winter months, Wiygul Automotive Clinic is here to serve you. Contact us today to talk to a knowledgeable representative.